All red because it makes everything run twice as fast am i right? Damn right, I got 10 more jiggerhertsis from making it all red !!! Damn right it's science !!! Bought the Corsair k66 because it was pretty cheap. Cherry MX Reds! First mechanical keyboard since i was a wee boy. Not sure if I like it so far. It does not have any backlighted keys so it makes typing anything rather difficult at times. I thought I wouldn't care to much but after a few days I do miss my old keyboard's red backlight. It's amazing how much different it is. I figured my monitor would light up the board enough but alas it does not seem to. Debating if I should return and get the K68 with the Red LED. Maybe even get some MX Browns. Not sure. I'd have to pay return shipping since the keyboard works perfectly. Any advice? edit: Returned the board. Got a Strafe Mk.2 RGB Cherry Red keyboard. Was able to get some cashback on it so figured why not it's not much more than the non rgb version. 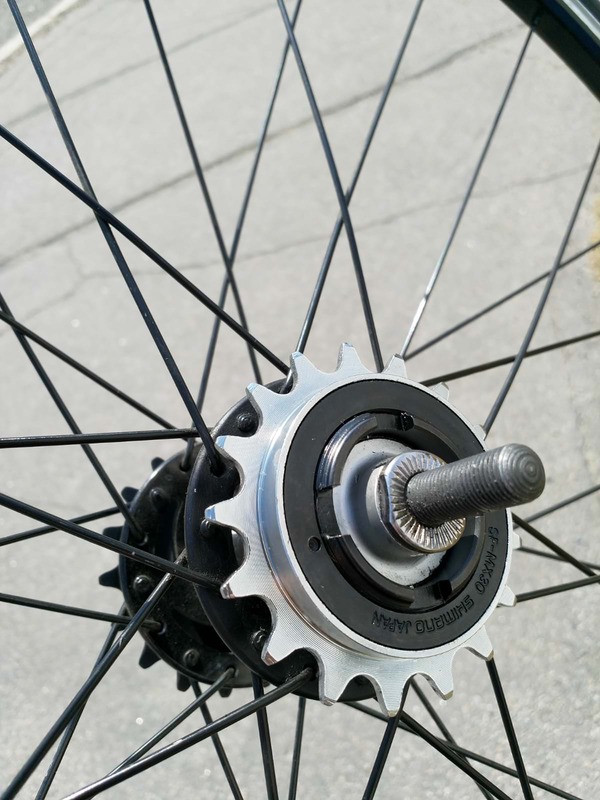 Shimano Freewheel, since the original knocked when pedaling, garbage. Curiously the original's branding (Dicta) was on the hidden side, so I decided to google the brand, and the first thread to come up was this (NSFW) one. I've used lots of Dictas over the years and they have been OK. Nothing better than a Shimano though, I use them on a few of my bikes.